i rock paper and scissors: Adventure | ADORNit and a Giveaway! Adventure | ADORNit and a Giveaway! I'm Guest Designing for ADORNit this week, and have another layout to share with you, this time it's the "Happy Trails" collection! Happy Trails is full of colors and patterns that immediately make you think of the great outdoors. 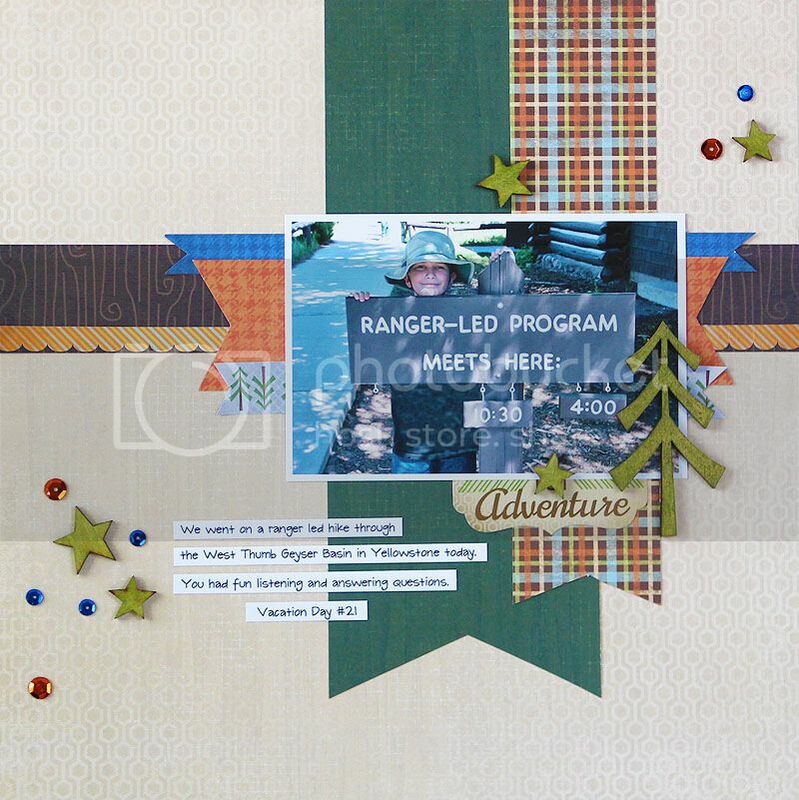 For my layout today, I used a photo from our vacation to Yellowstone along with some of my favorite papers, stickers and the darling wood shapes. I added a little mist (you could also use paint or ink) to give the wood shapes a bit of color. Isn’t that tree just the cutest! Next came the journaling strips along with the fun little wood stars and a few sequins from my stash. Now how about winning the Wisteria collection that I shared with you yesterday??? Just leave a comment to be entered to win! Love this Mary Ann!! Very cute page!! 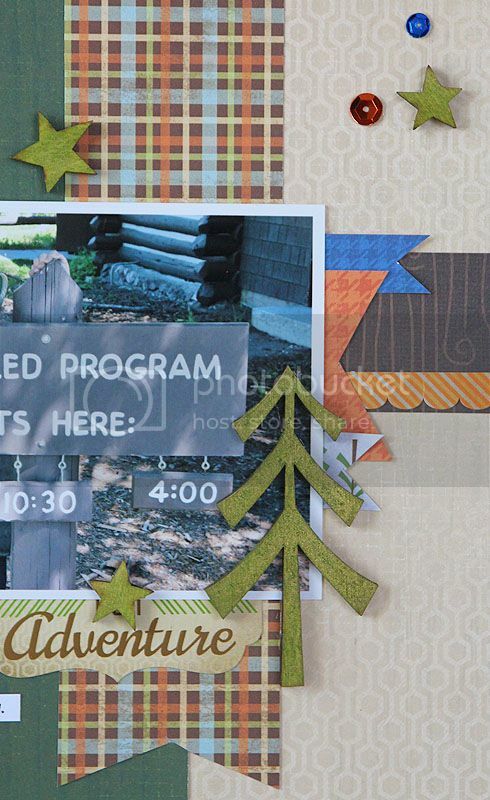 Great papers for a camping theme and I like your embellishments.